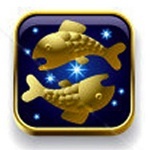 MONDAY: You'll have no choice but to compromise when you find yourself at an impasse with a loved one today, so work together to find the best solution under the Pisces Moon. A business decision could hang in the balance this week, so review the advantages and disadvantages carefully. There's nothing you can't accomplish if you put your mind to it, thanks to an extra boost of confidence and power you'll get from the Emperor, you tarot card this week. KEEP IN MIND: Don't make any decisions under pressure; solicit Spirit's help to reach a point of clarity. TUESDAY: You'll approach all you do with speed and precision under today's Pisces Moon, and keep in mind that any project can be completed more efficiently (and less expensively) if you'll ask for help. A heart-to-heart discussion may inspire you to make an important commitment to a loved one today, as you are finally ready to move things to the next level. Burn sage incense before bed to clear away any negative energy in your midst. KEEP IN MIND: DIY projects can be fun if you know what you're doing, but today, leave a minor household repair to the experts. WEDNESDAY: If you awake with a sense of uneasiness this morning, you're most likely hanging on to something you need to release. A quick survey of the past few days will alert you to what it is, so you can address it, get back on track and continue with your day. Dress in blue to aid you in making substantial progress under the Pisces Moon. You'll want to double check travel plans this evening, to be sure your reservations and dates are in order. KEEP IN MIND: When something is bothering you, the best way to shake it off is through spiritual connection. THURSDAY: Today's Aries Moon will help you to delve into the specifics and details of a project more intently. Others will begin to respond to your requests, once you start to express yourself more succinctly. Show your appreciation to loved ones with a note or small gift; it will go a long way to strengthen the relationships. Light a few green candles during your evening meditation, known for their ability to rebalance emotions and restore inner contentment. KEEP IN MIND: With the planets backing your every move, this is the perfect day to sort through files, take on detailed work or revise your financial statements. FRIDAY: You'll notice a shift in communications under today's Aries Moon, as people finally seem to understand where you're coming from. With a little help from "google," you'll discover important information vital to the work you are doing. Share your frustrations with a close friend, as they can help clear up some illusions you may be carrying about another. Wear gold jewelry to spark someone's interests or reconnect with an old friend this evening. KEEP IN MIND: Nothing is as it seems today, so get an objective second opinion before you start jumping to conclusions. SATURDAY: Loved ones are likely to create high drama or needless upsets under the Taurus Moon, which means you'll have to be the referee. You can calm things down with a simple reminder that they honor your boundaries and accept your decisions. Take some time to review the dreams you've been chasing and while you're at it, ask spirit to send new direction your way! KEEP IN MIND: Sometimes our dreams are within arms reach and we don't even know it; find out how to manifest them through greater spiritual insight. SUNDAY: You'll be inspired write your memoirs or share your favorite stories from the past with anyone who'll listen under today's Taurus Moon. Spend some time in nature this afternoon, working in the garden or strolling through a park. Quiet time will be essential tonight, so meditate to center yourself before a busy week unfolds. Add a piece of turquoise or lapis lazuli to your ritual, as these stones can help you reclaim your perspective as well as your balance. KEEP IN MIND: Make this day all about you, because it could be another week before you get the chance again!